Today is the OFFICIAL launch date of SOUP’s creative projects. 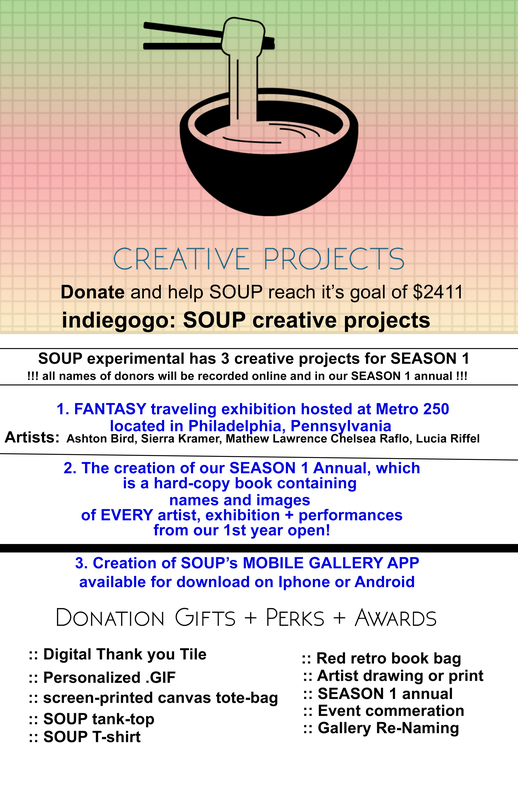 DONATE and become a part of SOUP’s mission to further advocate for emerging artists and creative ideas. Share the link, we need your help!